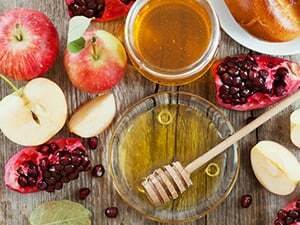 Experience the joy, excitement and uniqueness of each Jewish holiday with our fun holiday programs, inspiring services and traditional meals. 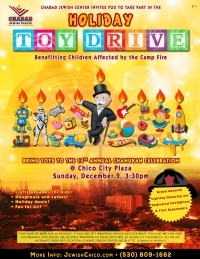 13th annual Chanukah Celebration at Chico City Plaza! 4:00 Grand Menorah Lighting honoring our dedicated fire fighters and first responders. Join us for open-house classic High Holiday Services with entertaining and meaningful running commentary. Services followed by festive holiday meals. Pre-fast and Break-the-Fast Meals for Yom Kippur. Join us for the Seder! Friday, March 30 / Saturday, March 31. Whether you are a Seder veteran with answers to all 4 questions or a curious explorer with 40 questions of your own ... there is a seat for YOU at our Seder. Click here for more info. and reservations. Join family and friends as we celebrate the greatest gift G-d has ever given mankind! Hear the Ten Commandments! Enjoy an elaborate Dairy Buffet and Desserts! 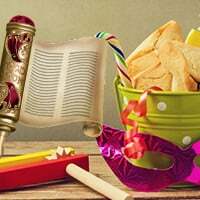 Celebrate PURIM! The most joyous day on the Jewish calendar! !